The resume is a tool with one specific purpose: to win an interview. If it gets you a phone call or an interview, it works. If it doesn’t, it isn’t an effective resume. It convinces the employer that you have what it takes to be successful in this new position or career. It is so pleasing to the eye that the reader is enticed to pick it up and read it. It ‘wets the appetite’, stimulates interest in meeting you and learning more about you. It inspires the prospective employer to pick up the phone and ask you to come in for an interview. OK, now that you have a job interview, you need to give yourself the best chance and make a good impression to ensure you get that job! Come prepared – know yourself, your strengths, weaknesses and accomplishments. A job interview is not a time to wing it! Prepare as much as you can, prepare examples from your life experience, not only your work experience. Examples of team work can be from playing team sports, examples of handling a difficult situation could be from a personal experience as well as work experience. Don’t be worried, if your work experience is limited, you will have had many valuable experiences you can use that will show a potential employer, what you can do and how you will work within the team and the business. Remember the employer is just wanting to get to know you. Arrive early – approximately 10 minutes – punctuality is key and what employers are looking for. If you are late to the interview, then you will be unlikely to be given the job over another candidate who was on time. Don’t arrive too early. If you are early because you wanted to make sure you found a car park, then wait (don’t loiter) out of sight until about 10 minutes before the interview before you enter the premises. Exhibit enthusiasm – first impression will affect the ultimate evaluation. Enthusiasm for the position will make a favourable impressions. Employers want to know that you will be keen and happy in the job role. Appear friendly and outgoing – always smile, say hello and shake your interviewer’s hand. Make it a firm and friendly handshake, practice with your family before the interview. Thank the receptionist, and also thank your interviewer for their time. Be self-confident – remember you have a lot to offer a potential employer, be confident in yourself and your abilities. With confidence you will be able to demonstrate how you have overcome obstacles in your life experience. 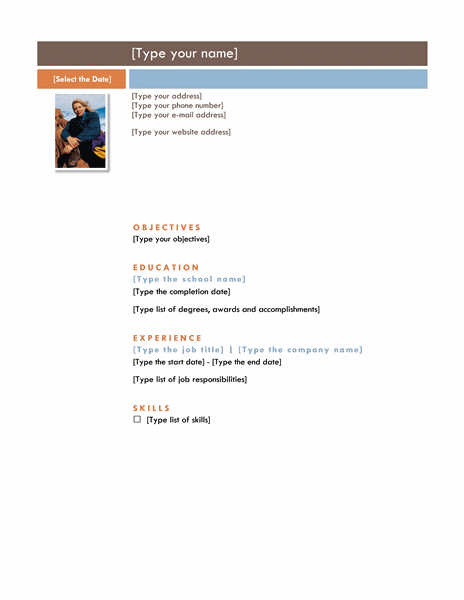 Come prepared for key questions – practice your responses to all the typical questions, such as “tell me about yourself”, “What interests you in this position?” “Why do you want to work for this business” What are your strenghths and weaknesses?” Also prepare some questions to ask the interviewer at the end of the interview. They will give you an opportunity to ask anything. Avoid the question on how much will you get paid? This will indicate that you are only interested in the money not the position itself. Employers like to have a happy and productive workforce who will enjoy their work. Ask questions about the job, the team and what they would expect from you within the first three months. Establish your worth – at the end of the interview, you will often be given a chance to add other information. If the interview did not allow you to highlight the benefits you will bring to the business and position, then this is your opportunity to give them additional information on your accomplisments. Don’t take too long and keep to key points. Do not waffle – keep your responses to the quesitons concise with a duration of 1 – 2 minutes. Do not waffle and do not provide lengthy irrelevant background. Remember a business owner is time poor, and just wants the salient points on your skills, abilities and accomplishments. Provide Examples – it is no good, stating that you have a a skill without an example to support it. If you say you are highly organised, the interviewer will ask you can you give me an example of your organisation ability. It won’t have to be work related, it could be as simple as organising a family holiday or birthday party where you can take the interviewer through the steps of planning, organising and the result. If it is work related, then you will need to demonstrate the tools and methods you use in organising your work load such as lists, outlook calendars, prioritising tasks etc. Don’t be arrogant – it is always best while highlighting your accomplishments, acknowledge others that may have contributed. Don’t be arrogant and self promoting to the point that you put your interviewer off. Be Positive – do not highlight any negatives in previous employment. You may be asked a question on working with a difficult colleague or customer, choose an example where you demonstrate empathy and was able to work through the difficulty to achieve a positive outcome. Clearly state your interest – at the conclusion of the interview, state that you are definitely interested in the position and would like to know when the next step will take place. Don’t forget to be careful not to go overboard. Now that you have your Resume up to date, you will want to get it out there to prospective employers.